As an ERISA long term disability attorney, the most frequent question I get from prospective clients regarding litigation is what the claimant can recover. 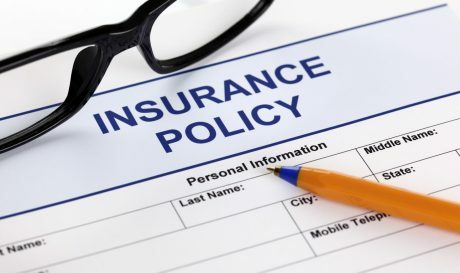 Many people believe they can get guaranteed disability insurance payments until the policy’s retirement age, or inquire if they can obtain any consequential damages, emotional damages, or other forms of relief for the inconvenience of having to battle the insurer to get the disability payments. With only a few exceptions that require several blogs to cover, relief usually is limited to just the benefits due. Courts also do not have authority to order future benefits be paid because disability insurance policies require continuing review for eligibility. In addition, if the denial or termination occurred before a change in the definition of “disabled,” the result of the judgment is often a small monetary award, and an order to start review under the new definition. A recent case is a good illustration. In Rude v. Intel Corp. Long Term Disability Benefit Plan, No. 13-15834 (9th Cir. Nov. 10, 2016), the claims administrator of the plan terminated Rude’s long term disability payments about six months prior to when the plan’s definition of “disabled” would change from an own occupation standard to the any occupation standard—meaning Rude would have to demonstrate he was disabled from being able to perform some alternative occupation for which he is fitted by education, training, and experience, and would pay him a reasonable wage in comparison to his pre-disability earnings. Rude sued the Intel disability plan under ERISA § 502 to recover the benefits. The Court determined the claim administrator acted arbitrarily and capriciously by changing the measuring stick for the duties of Rude’s own occupation. The Plan’s own medical consultants restricted Rude to sitting a few hours per day and standing or walking a few hours per day. But the Plan originally determined Rude’s occupation was performed at the sedentary physical exertion level, as defined by the Department of Labor. This means Rude would stand or walk minimally, and sit most of the day. The Court did not have to wrestle with this issue long. But the Court ordered the Plan pay Rude the remaining six months of disability benefits payable under the Plan until the definition changes, and ordered the Plan to review whether Rude qualified for benefits under the new definition. The experience of undergoing administrative review with the insurer again is sometimes a motivating factor for claimants to settle, and is sometimes a motivating factor for insurers to want to settle, rather than agree to some reinstatement. Every case has its unique circumstances to consider when determining how to reach resolution. To get good advice and guidance on how to approach resolution of your unique case, speak with a knowledgeable ERISA long term disability lawyer.